Matlab has documented how to modify default property values, but not how to get the full list of current defaults. This article explains how to do this. uiinspect is a Matlab utility that displays detailed information about an object’s methods, properties and callbacks in a single GUI window. Annotation object can be programmatically set at, and pinned-to, plot axes data points. 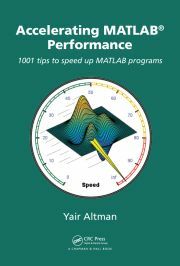 The Matlab Editor can be accessed programmatically, for a wide variety of possible uses – this article shows how. Matlab does not have any documented method to detect window focus events (gain/loss). This article describes an undocumented way to detect such events. Matlab’s toolbars can be customized using a combination of undocumented Matlab and Java hacks. This article describes how to customize the Matlab figure toolbar. Matlab’s GUI Design Editor (GUIDE) has several interesting undocumented features. This post describes how to customize GUIDE rulers.